There had been lots of problems during the building of the Town Hall. 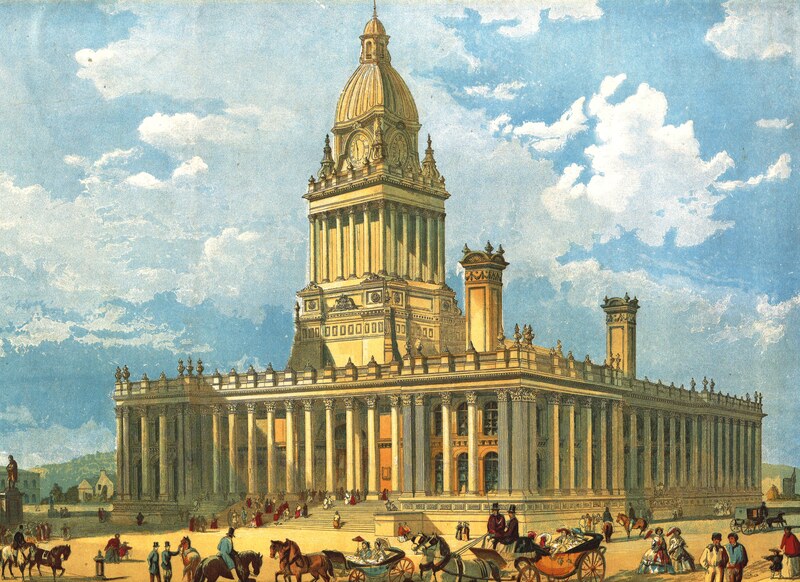 Some people say that the triumphal arch for Queen Victoria’s visit, was built to hide the unfinished Town Hall tower. The builders ran out of money, stone supply was delayed and there weren’t enough workers with the right skills to do the job. The tower had a clock and a bell. A clock was important, as most people did not have a watch, and there was no radio to tell them the time. The bell that goes with it weighs 4 tons, and was made by Warner's of Cripplegate, London. The clock has a diameter of 6ft 2ins and height of 5ft. 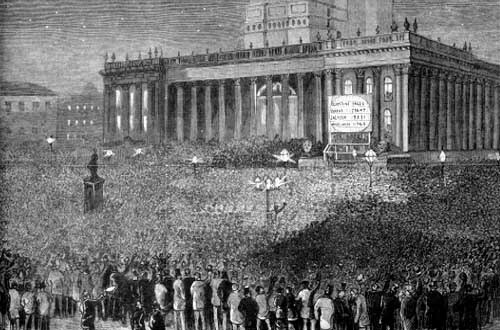 The cost of the bell was £662, which was a large sum of money in Victorian times. Building the town hall went way over budget. Originally the budget was £41,835. The final cost was £111,739. Since then the Town Hall has been use as a courthouse, a police station and cells, a venue for concerts, for banquets, balls, bazaars, meetings and exhibitions, and as a temporary library. There is still a courtroom and cells in the cellars of the Town Hall. 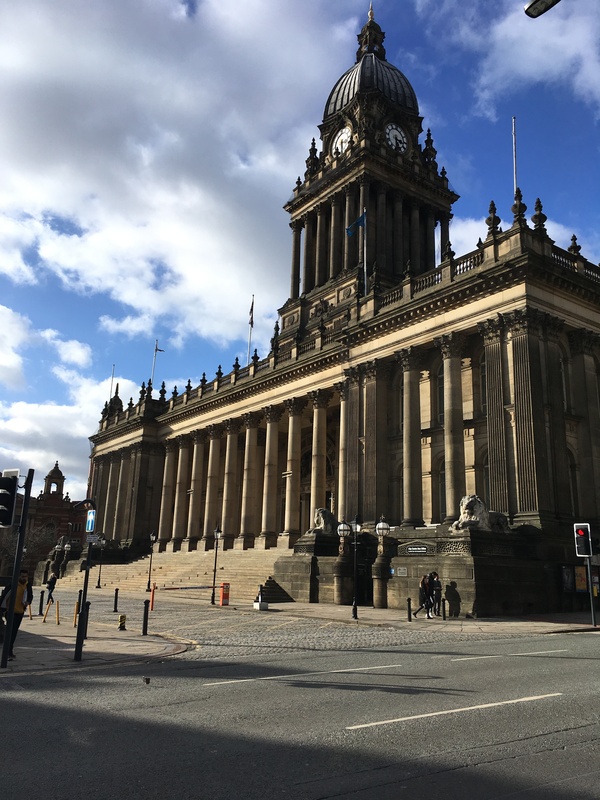 You can find out more about some of the remaining Victorian buildings in Leeds town centre and who designed and built them in our Leeds Curriculum Collection.